Landing pages are one of the most important, yet misunderstood, marketing tools in the digital world, a well-optimized landing page boasts conversion rates of 25 – 50%, compared to the .5 – 3% conversion of most web pages. These conversion powerhouses have a single purpose: to convert site visitors into leads by exchanging personal information for valuable content. Although they seem simple, with streamlined copy and a simple contact form, these pages require experience and strategy to succeed. Harness the conversion power of landing pages with strategic help to make them work for your business. It’s important to understand where landing pages fit within the buyer’s journey and that they appeal to the right buyer’s journey stages. If a landing page feels too fast or salesly, its conversions will suffer. Another crucial factor to consider is social currency, asking for more information than your offer is worth. Avoid those potential issues with our help to design, develop and write compelling landing pages for your existing content offers. Once your landing page is live, we’ll use heat mapping tools and analytics to analyze traffic and ensure the page is functioning properly. Need more content for new landing pages? We can assist by creating ebooks, webinars, videos, blogs, whitepapers and more. Landing pages that align the right offer with the right audience can drastically improve your lead flow and your lower your cost per customer acquisition. To achieve those maximized results, we don’t rely solely on data to measure effectiveness. Our team uses inbound insight to ensure your landing page experience fits within the buyer’s journey. Like all of your marketing, landing pages should focus on your customers, not your business. 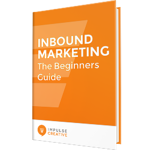 Get the guidance you need to make all of your marketing customer-centric, with our help. Increase your company's reach and generate traffic and leads lickity split.